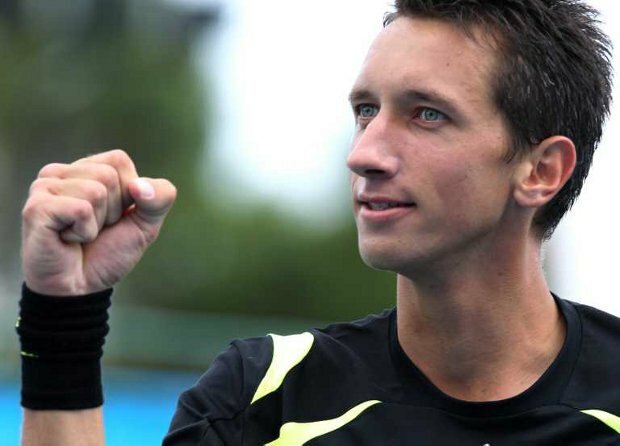 The Ukrainian website LB.ua published a very interesting interview with Sergiy Stakhovsky this week. He talks about a lot of current issues on the ATP Tour - mainly prize money, and the supposed Federer-Nadal rift, but also match fixing, for example. Quotes from the interview generated a lot of talk on twitter, so I bring here the full translation of the interview to English. Disclaimer #1: I do not own any rights to this material, the interview was done by the sports journalist of LB.ua, Evgeny Shvetz. The photos are taken from his article. No copyright infringement is intended here. Disclaimer #2: English is not my first language. I tried to translate as closely to the origin as I could, any mistakes are mine, and so are any irregularities in language. Thanks to @mikomonstr for the invaluable help! 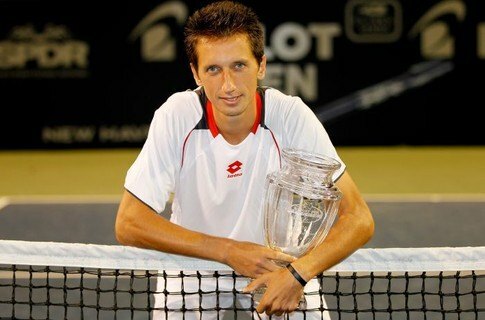 The most successful Ukrainian tennis player of the 21st century is Sergiy Stakhovsky – the grandson of the former director of the Korolev Science and Production Organization. Of course, you can’t call his tennis “cosmic”. But he plays like a person who grew up in an intellectual family in Kiev – gracefully, thoughtfully, elegantly. LB.ua talked to Stakhovsky about the crazy earnings in tennis and similarly crazy spendings, about Federer, who’s like a Swiss watch, about slow courts and greedy tournaments. Sergiy, don’t you think that the tour – well, didn’t grow old, but definitely aged? Not that long ago, they published a statistic - the average age of the top-100 players is 27-years-old. Even though in 2004 it was around 23 years. It’s the competition. It’s not enough to have certain characteristics, you need the experience, too. 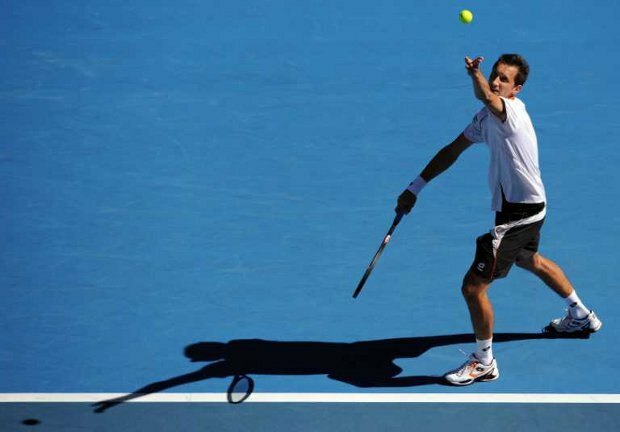 But tennis became more athletic, and theoretically, the older players shouldn’t be able to cope with the tour’s tempo. The same for 33-year-old Stepanek, for instance, whom you already admired four years ago. In fact, tennis became smarter. And the higher-ranked players can afford themselves everything they need – a coach, a fitness trainer or a physiotherapist. However, the majority of players, who are just trying to make the top-100, don’t have that possibility. And which kind of a player are you? I’m among those who make their own profit, self-supporting, and in recent years have been able to keep a positive balance. Of course, after all - it’s problematic to keep a negative balance. You think? I don’t think it is. So, Davydenko was right when he complained that the prize money for playing in the first round of Indian Wells doesn’t compensate for the expenses of travel and accommodation? They don’t pay off at all. I’m in the negative after the IW and Miami Masters. About five thousand [Note: probably $US, but it’s not definite – Anna]. And that’s while reaching the second round in Indian Wells. But what about the rumors that in the USA, a tennis player can get a full range of services for a small amount of money? It works in specific places. In the same Indian Wells, there are simply no cheap hotels. The cheapest room cost $144 per day. And the tax on the prize money – 38%. You get there at least four days before the tournament starts. You’re in the USA for at least three and a half weeks. You pay your coach – weekly salary, food, hotel. If you have two – another salary, food. And the flights? From Europe to the USA, inside the country, and back – that’s at least 2,000 Euros per person. My net gain there was about $11,000. Yes. And I had a fitness trainer with me. In addition, my management company has a physiotherapist, who travels with several players at the same time. Are you feeling comfortable at the age of 26, being ranked 72nd? My career is built so that I go a little bit forward – and then backward, again forward, and again backward. One step forward, two – backward? No, rather: three forward – two backward. For me it’s an everyday story. So I don’t really despair. There’s a lot that I haven’t said in this sport, and a lot is still ahead of me, so I don’t think about this negligible fall. But when you’re 22, of course, it’s easier to get through the flights, the travel. Physically, right now – I feel the same after matches, but the flights and adaption are harder. Didn’t you develop fear of flying during that time? No, but I started to fear the landing. A while ago Mardy Fish complained that there are practically no tournaments left with fast courts. He told the truth – there aren’t. This year, the fastest courts were in Dubai. We came to Indian Wells with the hope that the courts will be at least the same as last year. But they laid a new surface, and they became super-slow with high bounce. In Miami it’s the same, and additionally the balls fluff out more because of the humidity. Why do the organizers do that? Actually, the courts used to be too fast, and they decided to slow it down to make the game more colorful. But they overdid it. And nobody really liked the final in Australia, which lasted 6 hours. Well, for the first time it will do. But if this becomes a tendency, people won’t understand. So you need either to change the structure of scoring, or to make the courts faster. Because – well, no way. The fastest court was in Bercy. But last year it was three times slower than before. 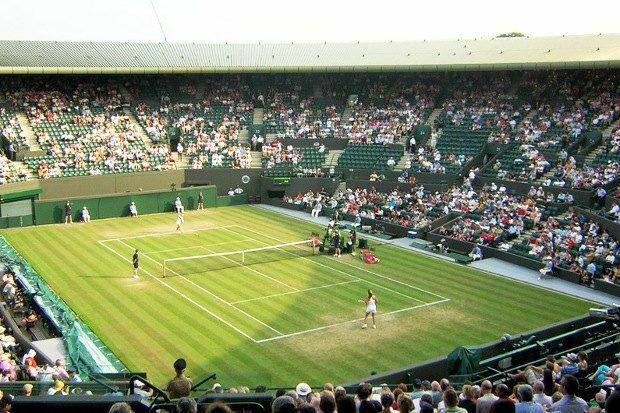 And now, even in Wimbledon the grass grows the wrong way – to slow down the game. How rude. Now I understand why Federer started constantly losing there. Five to seven years ago, the players carved out a path to the net, and the grass was trampled there. Now the bald parts are at the baseline because the speed and the bounce let you play a baseline game. And many players – Spaniards, other clay-courters – are fine with that. It evens out the chances. Maybe that’s why the tour became older: the game is more compact, everyone plays on everything. Federer plays a less physical tennis. Someone has more God-given talent; someone has more of something else. For me, Nadal is more talented in terms of discipline and hard work. Thanks to that he became the No.1 player at the time. But Federer – that’s a tennis player from God, a talent which found “his own” sports field. One reached success through hard work; the other achieved more, while spending less efforts. But Nadal is a former craftsman, who became a Master by learning a lot from the same Federer. Everyone learns from Federer. In 2006-2008, Roger moved tennis in an absolutely different direction. He played so quickly that everyone followed him. But then the slowing down of courts started. That’s an example of systematic percentage tennis – a game without errors. Djokovic, in fact, is playing like a wall. No. He plays very close to the baseline, he moves excellently, he passes well, and he doesn’t err. When I played him in Dubai, he didn’t give me a crazy rhythm or tempo, or a huge variability. Yes, he can shorten play. Maybe, but he does it less frequently. He becomes more primitive. He just does on the court whatever allows him to win. You won’t earn more by playing a beautiful game. But the Sheikhs can invite you to Dubai. They’ll say: “Dude, watching your game – is just a pleasure”. Federer came to Dubai, where he originally didn’t intend to play, just like that?! Federer, Nadal, Djokovic, Murray – that’s simply another world. What those four earn – isn’t comparable to all the rest. We simply don’t exist in comparison with them. Players who aren’t inside the top-20, don’t have any money, except for the prize money. Contracts, clothes – that’s all for the top-5 or top-10 players. I caught that period when all the big brands understood that they only need to pay the top players, all the rest are for free. He wasn’t offended by Federer, exactly. He was disappointed that his ideas – useful for the tour, as he thinks – aren’t heard. It concerns the 2-year ranking, among others. But if you start that, then every player needs to vote, and that’s not entirely correct. Look: in today’s pay for tennis players’ efforts, I personally support this new change. It protects my ranking. The earnings of most players are, really, laughable. But when you look at the numbers: you win one match – you earn enough for a car. By the numbers, I’m a millionaire. But I already told you about my expenses. And if you don’t fly business-class, but lowcost? Lowcost to Dubai?! This year I’ve been flying economy. From London to Dubai and back I flew for 1200 Euros. And we can’t order tickets in advance. In addition, you can’t give up the cheap tickets. Often, we buy the tickets on the day of departure. And those are completely different numbers. In a year, I spend 170 thousand Euros on the “game expenses” category. Last year, only the tickets cost me 85 thousand. I earned $428 thousand. Take out 30%, on average, for taxes. But you won’t be spoilt by the money. Yes, but I’m giving my life to this sport. I miss studies, friends, I have a family. Let’s say, I retire at 32 years. Say even that I earn a net of 500 thousand Euros by that time. But I need to live off this money for the rest of my life. And the name “Stakhovsky” won’t work for me in this country, that’s for sure. Going back to Nadal: the Grand Slam tournaments, as we know, pay the players an abnormally low percent of their earnings. For instance, the US Open spends 4-6% of their profit on prize money. The ATP tournaments – around 30%. Since 2004, the prizes in the big tournaments rose less than the inflation. You lose the reason to enter the top-100. If you travel with a coach – you’ll be in a small “plus”, $20-30 thousand per year. And those are the 100 best people in this sport all over the world. If you take the 100th soccer player, the 100th golfer, any sport that’s on TV – their salaries will be immeasurably greater. Even the 100th soccer player in Ukraine earns more. The Slams are holding everything, and if they start sharing their profits, it’ll make sense to make it to the top-100. Yes, it will look vulgar if a player who lost in the first round, makes $50-100 thousand, but how much he invested in himself to even play there. To fly to Australia – that’s already a feat. It’s 24 hours. I’m not risking flying economy there, it’s just unrealistic. If the Slams make concessions, I’m against a 2-year ranking. Because many players will need two years to make it in the top-100. And now people are really working on it. Now, the 70- or the 200-ranked player – are the same. My financial situation is also not that smooth. Can you tell me on which of your matches I should bet a “Total unders”? (Laughing hysterically) What’s a “Total unders”? Just so I’d understand. But of course, I heard talks about tennis players involved in betting. Is this ugly, or does everyone decide for himself? Each person is his own decision-maker, but I consider it ugly. But there are exceptions. I don’t think it’s ugly for players who are almost top-100, and one such match guarantees them further growth in tennis. But if the bets, and not the tennis, are the main income source, then of course, I don’t approve. Another nuance: now, if you arrive at a tournament without a coach, they think you’re there to throw the match. And the trainers’ salaries, I’ll tell you, got higher lately. Some “extremists” even travel with their own dieticians. Your brother Leonard, whom some people consider a bigger talent than you, “tied” with active performances. Did you not have enough means to sponsor his professional growth? He started college in the USA. And he can start playing after college, just like Isner, like Blake, like Benjamin Becker. And I’m not his father – I’m his brother. I always supported him. But there are our parents, who decided that it’ll be better. And by the way, if I had kids now, I’d never send them to play tennis. Because to go through what I went… And I, to tell the truth, got lucky – if not for Zagreb (the first ATP tournament won by Sergiy – LB.ua) – I wouldn’t exist. I’d waste ten years of my life on it, without any return. Except moral. If I didn’t make it in the top-100 – what next? I mean, I become a tennis instructor, and what life is that? To be on court from 8 till 8 for the rest of my life, to play with amateurs? Yes, it can be financially rewarding, but it’s a hell of a work. In fact, Leonard chose that path for himself. It’s a good university, it’s a good faculty – he’ll be an oil engineer, there’s a good tennis school there – Roddick’s brother is a coach there. And he needs to spend a certain amount of hours in training. They’ll follow it. If he doesn’t train – they take away his privilege for free tuition. In the US, the sports budgets of colleges are higher than the analogous budget for our whole country. And for them, good sports results of their graduates – are a question of prestige. Alexandr Dolgopolov shows some crazy tennis this year. He always played like that. When playing him, a big part of the result doesn’t depend on you. Either yes or no – but it’ll depend only on him. Even players in the top-10 who go and play Sasha can’t be sure that the match depends on them. Well, maybe except for Federer. 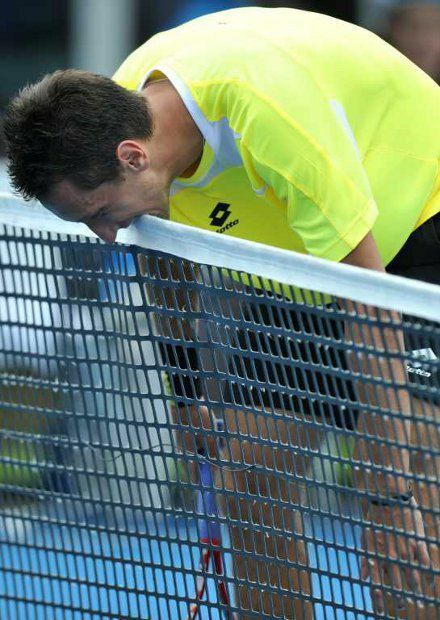 Dolgopolov plays “two strikes”. If the rally isn’t over by that time, the opponent gets a chance. Do you often communicate with Federer? He’s a good person, but too neutral for my taste. He’s too Swiss. He wants to keep out of any bad stories too much. When players want to change something, he looks at it too passively, because it can harm his image. I respect Nadal more in that context, because he openly supports the players’ interests. So why won’t the players oust Federer from his role as president of the players’ council? Federer says the same, just not in the presence of all the other players. He doesn’t want to speak publicly about certain things. Because if suddenly there’s a scandal with the boycott of Grand Slams by players, it can be connected to his name. In fact, Nadal didn’t leave because of Federer, and the players’ council, for the most part, doesn’t decide anything. It’s a consulting body. But there are three people who represent the players in the ATP. And Rafa thought that they didn’t defend the players’ interests in the extent that they should. And about certain things, I’m prepared to agree with him. You have an interesting manner of play. I try to invent things, but sometimes I go overboard. I need to keep a check on myself, not overdo the imagination. 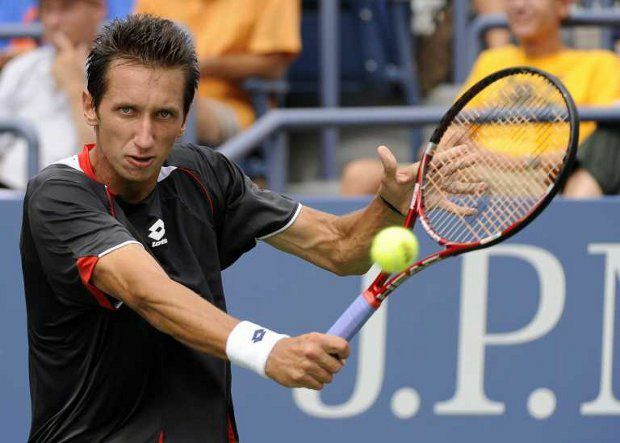 Sergiy Stakhovsky – an Ukrainian tennis player, winner of four ATP singles titles (didn’t lose a single final). Family status: Married Russian Anfisa Bulgakova in 2011, the couple lives in London. great article, it is reality for players in this category, if you are ranked over100 you are losing money basically. As as a tennis fan and translator, I appreciate how much time this must have taken you. Very interesting. Thank you. ^^Agreed with everyone. Very insightful article and thanks for putting in the time to translate! 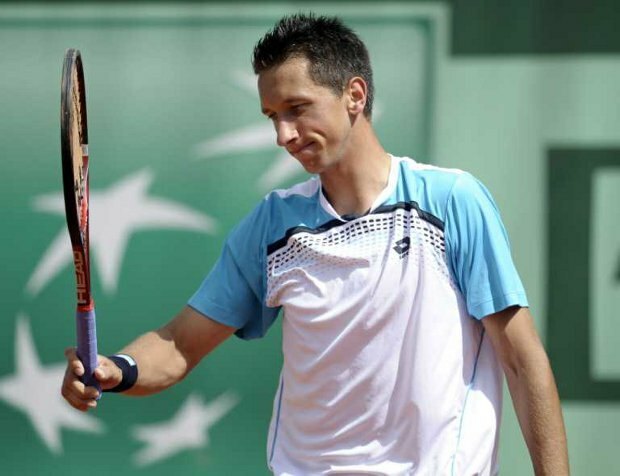 Stakhovsky spent $85,000 on traveling expenses! Thats crazy! also recnetly there has been a decent prize money rise in the aust open and wimbledon...should be all tournaments. A great insight into the reality of making it in tennis. Sergey is a great player who shows the kind of tennis not seen on Tour anymore and is not afraid to speak his mind. Bring back the fast courts! Well done on the translation as well! Excellent interview and very enlightening. Thank you so much for this - it is always interesting to get a behind the scene glimpse (and it seems we don't get it that often)! Thanks for translating. One of the most insightful and introspective interviews I've read in a while.
" Federer plays a less physical tennis. Someone has more God-given talent; someone has more of something else. For me, Nadal is more talented in terms of discipline and hard work. Thanks to that he became the No.1 player at the time. But Federer – that’s a tennis player from God, a talent which found “his own” sports field. One reached success through hard work; the other achieved more, while spending less efforts." Fed plays an apparently less physical game, but I don't think anyone will agree that Rafa is more disciplined and hard-working. That's one reason Fed can afford to play that way. Shame on him for denigrating RF's well-known discipline and extremely tough work, especially in Dubai in late summer. He runs through two younger players after working on court for four hours in heat, and that's after two or more hours in the gym. Jesse Levine said he plays/works the equivalent of 5 sets of tennis per day, with breaks, which are necessary b/c of the heat. He may be "in touch with Federer constantly," but he's apparently not really 'in touch.' Give me a break. No quarrel, however, with his complaints re tennis financing. The Slams need to be slammed. I think a lot of people get caught up in all the hype about the top players especially the likes of Federer, Rafa and Novak, kids see them and go "wow! being a tennis player must be sooo cool!" but thats not the true reality of it for 99% of the players, for them its not all Grand Slams and sports cars, free hotels and sponsorship deals for them its waking up early spending every last cent on airfare/acommadation traveling halfway around the world and making just enough cash for them to get back home again without really coming out in front. The reality of "the tennis life" is even grimmer for those players outside the top 100 those fighting it out on the challenger circuit, by the time they cashed up their traveling expenses they would hardly have any money left over for their efforts. Articles like this are always intresting because they remind us that there is a whole different side to the game, and its a side that we dont often hear a lot about. Wow, this is exactly the type of interview that I've been wanting to read. Thank you to the interviewer and thank you to Sergiy for his honest answers. Bravo. I had to work 30 years before I made enough over expenses so I could quit. Most years expenses where more than income. No one came in my cubicle for my autograph. This is really good interview because the interviewer doesn;t mind asking tough questions, and Sergihy doesn't mind being honest with his answers. He seems a cut above most athletes in his clear analysis of many things.